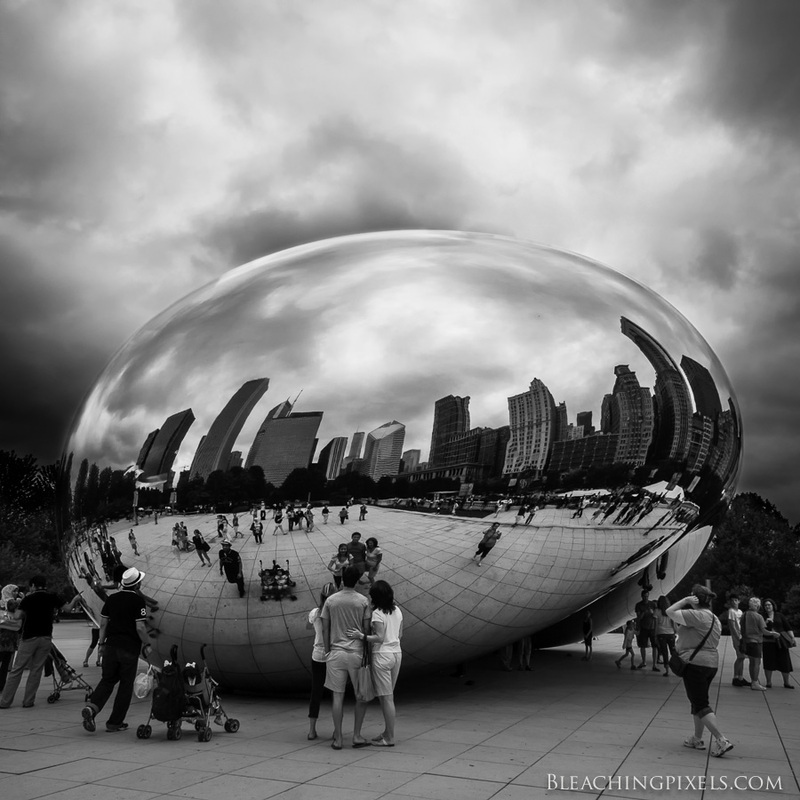 Millennium Park in Chicago has what is known as “The Bean”. hich is literally a giant silver coffee-bean looking sculpture. This was a fun place to take the Olympus E-M5 out and really kick the tires. I walked from my hotel down to Millennium Park, rattled off some shots, then it started pouring! Which brings me to the next thing I love about this camera. It’s weather sealed! ← Video tutorial! Mixing black and white conversions.